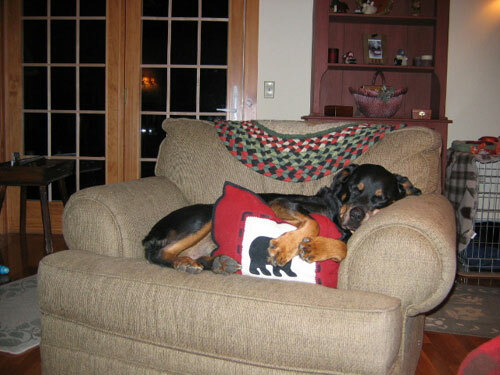 Sophie is our 10-year-old rottie girl. She had knee surgery this summer and is recovering well. She is our queen. Maverick is our two-year-old rescue rottie—originally from Massachusetts. He is no. 2 in the pack. We adopted him from a rescue group at four-months, so he has been with us most of his life. 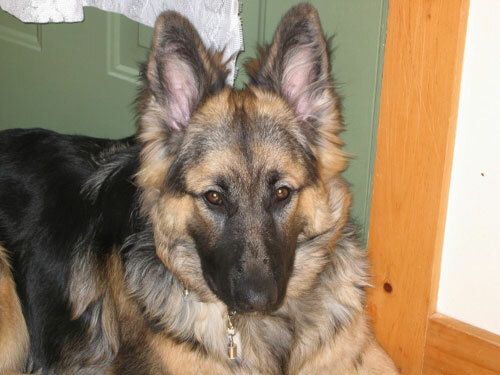 Ilsa Sabrina is our 1-year-old German Shepherd. She is a long-haired specimen of the breed and Maverick's best playmate. They all love living—and chasing chipmunks—in the north woods of Maine. 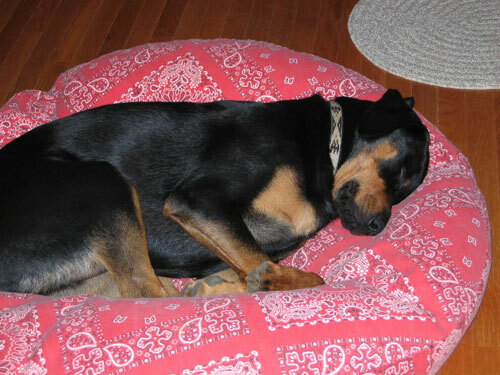 As you see—while the rotties nap, Ilsa Sabrina stays on the job.